Now legal in several states, we've been asked to work on logos, websites, merchandise, and packaging for clients in the Cannabis industry. 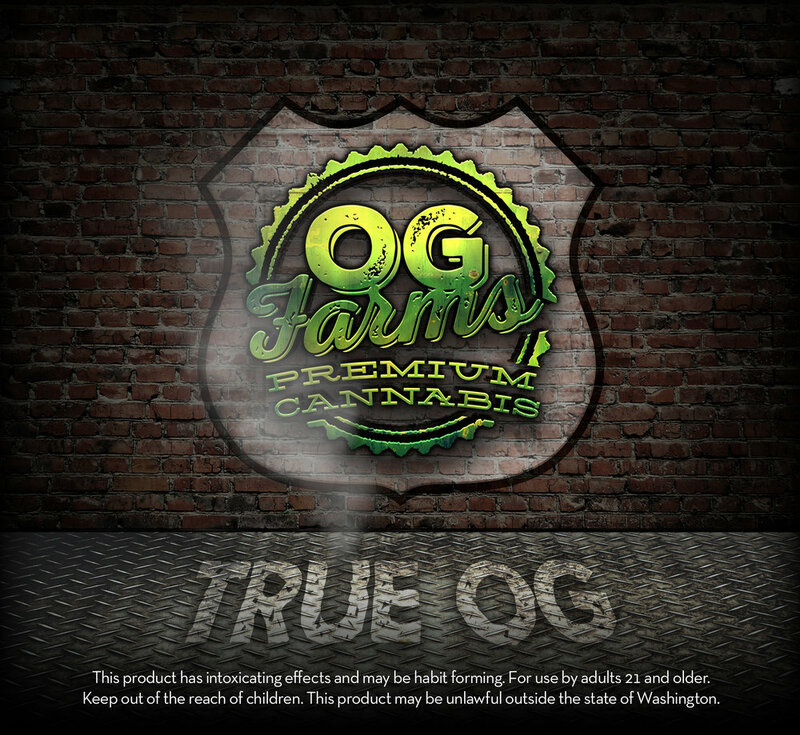 For growers, we offer the opportunity to brand products that will be sold at the retail level. Our skills in Consumer Behavior (what sells and why) are put to good use to help keep products moving by focusing on the visual interest and overall appeal of packaging. We design packaging solutions to help products stand out in a crowd. Our sources include Window Pane Mylar, Glass, Aluminum, Tin, and Pressed Cardboard. For retailers, we offer the opportunity to build credibility in an industry that is positioned for positive future growth. From loyalty cards to t-shirts and key chains, we help retailers build client relationships to make their location the "destination of choice" for local customers. Uptown Growlab is probably best known for their series of educational videos. Jay Kitchen had established a loyal following with the success of his coffee table book "The Kitchen". With over 200,000 loyal followers on Facebook alone, Jay needed to take his former site and brand, to the next level. For the logo, the goal was to keep his existing color palette of black and gold, and keep his former mark (which was a crown). We created a crown that featured a leaf built into the center, added some vintage script, built in some gold-leafing and found ourselves with an office full of people saying "we need that on a shirt". We knew that the next step was to make sure we created some wearable gear that looked good, was from quality materials, and would appeal to both men and women. The first shirt was a smashing success. For the website, we had some creative freedom. This wasn't just any website - there was a lot going on. And while we're known for our style of clean design, we are certainly not opposed to getting busy and having a little fun with it. We incorporated a brick wall as a background and used both traditional nagavtion in the form of a Nav Bar across the top, as well as created some "spray paint" grafitti below the Uptown Growlab Logo. We had an interesting result - more than one-third of all site visitors clicked on the the graffiti icon "SHOP" and went straight to his online store. In the store, older products were presented next to new ones (the old branding is being phased out as new products come in). And the shirts were a hit. 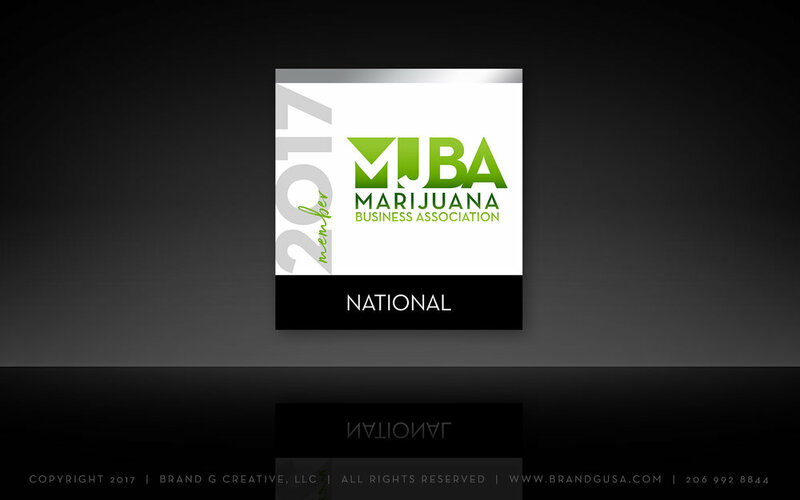 MJBA is known for being the voice of the Legal Marijuana Industry. It offers a variety of digital content in addition to a series of membership options. We created a series of Membership Credentials that can be used in digital media, print, and offered as a plaque to identify membership in partner businesses. The goal was to create something professional and visually effective.